Cactus, pine trees and skiing! The drive up Mt Lemmon came highly recommended by Gary & Janice – RV’ers from Ontario that we met in Quartzsite – and we’re so glad we were able to do it – on this brilliant blue sky day for a road trip! The Sky Island Scenic Byway is the only paved road that winds up the southern flank of the Santa Catalina Mountains to 9,157’ Mt. Lemmon and is travelled by over 1 million visitors each year. It is considered one of the most scenic drives in southeast Arizona. Author JacquiePosted on February 28, 2015 October 16, 2015 Categories Arizona, Full-Time RV'ing, Mount Lemmon1 Comment on Cactus, pine trees and skiing! On average, there are 48 precipitation days/year in Tucson and February 24th was one of those days. We had 4 – 5 hours available to explore as the coach was in the shop getting the full-wall slide checked out. Decked out with umbrellas we were off – but we should have brought jackets! The temps have dropped in Tucson! We stayed in the dusty desert town of Quartzsite for 2 nights discovering that this is probably one of the cheapest places to stay long-term – less than $10/night – and different people we met were staying for a few months. We even met some fellow Ontario RV’ers – from Cookstown, ON – who were also full-timing and we shared our stories over a glass of wine… Checking out license plates easily opens up a conversation and I’m proud of our Ontario “ITLLBEOK” plates – which really open up a conversation. I love watching people standing in front of our coach trying to interpret the plates – and when they get it – there’s a smile and a giggle! You can’t come to Vegas and not visit the Hoover Dam, marvel at the newly constructed bridge and walk the Strip – and we did all that – including visiting with family that we specifically came here for. We’ve now left Vegas and are in Quartzsite, AZ after some weekend excitement in Lake Havasu City, AZ. We’re then heading to Yuma and a little cross border shopping in Mexico. Sights beyond The Vegas Strip? Absolutely! National Geographic names this park as 1 of 300 Best Drives in the U.S. Ever since I read about this location in other RV blogs it was on my “go to” list and we were not leaving Vegas until we explored it! 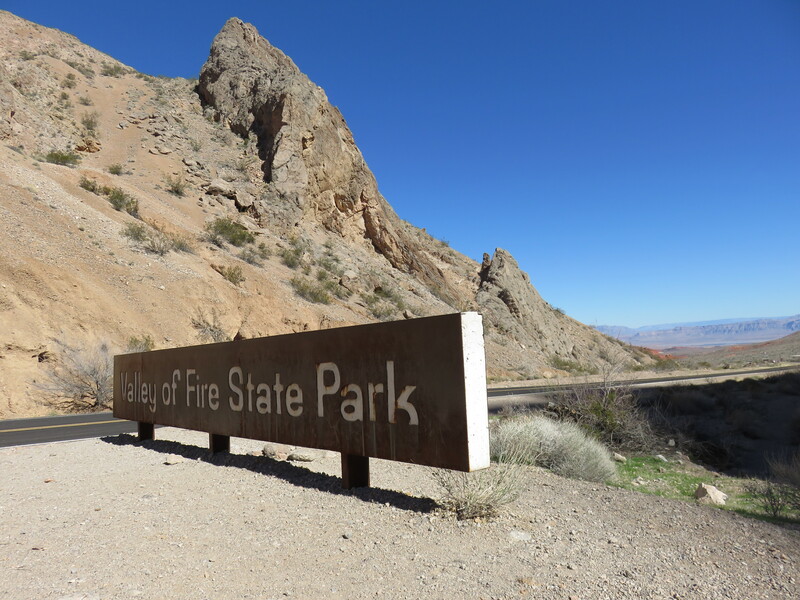 The park is located in the Mojave Desert approximately 50 miles Northeast of the Las Vegas strip. Author JacquiePosted on February 12, 2015 Format AsideCategories Full-Time RV'ing, Las Vegas, Nevada, RV Travel Tales, Valley of Fire State Park1 Comment on Sights beyond The Vegas Strip? Absolutely! It’s sad leaving this wonderful RV resort in Indio that we have been in for 3 weeks – a fabulous location, great weather, friendly and outgoing people, plenty of activities to keep us busy all day, new friends and stories to tell. But, it’s the draw of the open road, the anticipation of the next location, the marvel of new sights and landscapes and meeting people from all over Canada and the USA that are so exciting and sweet! Borrego Springs is fast becoming known for its magical menagerie of freestanding life- size sculptures scattered throughout the desert. The sculptures sit on private parcels of land owned by Dennis Avery (the Avery label family) known as Galleta Meadows Estate – and the estate is open to the public. And, if you are not prepared, the sight is startling and amazing.